Max has a Bachelor’s degree in Physics and Master’s in Business Administration. Max heard about Bitcoin for the first time in late 2013 right after completing his Master’s degree in Management. Max was immediately inspired by the innovative and disruptive technology behind Bitcoin and quickly made a name for himself in his local Bitcoin community in Kiev. Eventually, Max’s passion for Bitcoin drove him to co-found a Kiev-based software development studio and to found the Bitcoin Foundation Ukraine and Satoshi Square Kiev. 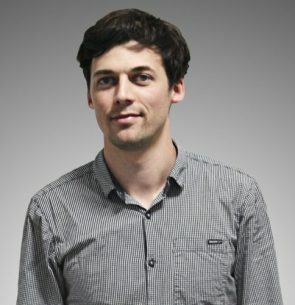 Max have worked for one of the biggest Bitcoin Cloud mining platforms prior to becoming Product manager and later Head of Crypto Business at Cubits. Today Cubits.com is a leading Bitcoin Payment provider in Europe and a well known platform where customers can Buy and Sell bitcoin using classical financial instruments. Discussion panel on the future of DLTs moderated by Alexander Pfeiffer, (Donau Universität Krems) with the participation of Max Krupyshev (Cubits), Joshua Greenwald (LXDX), Toni Lane Casserly (CULTU.RE) and Eman Pulis (SiGMA).